The Oklahoma City Thunder point guard and leading candidate for the 2016 – 2017 NBA KIA MVP RACE Russell Westbrook is currently tied with the Big “O” Oscar Robertson for the most triple doubles made in a single NBA Regular Season having both players with 41 triple doubles in their NBA playing career. Oscar Robertson holds the most triple doubles made during the 1961 – 1962 NBA Regular Season and after more than 5 decades that impressive records will about to be break by a point guard name Russell Westbrook. 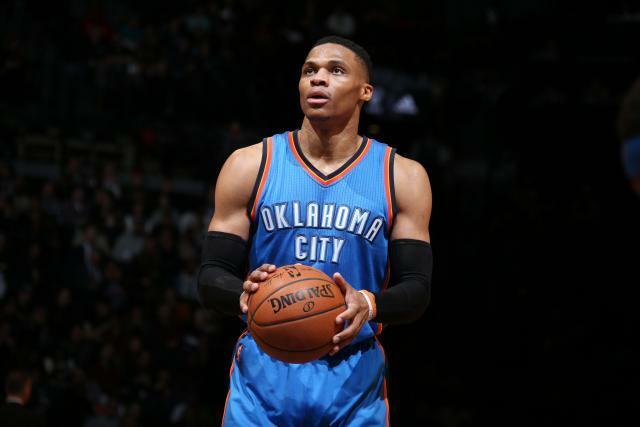 Westbrook equaled Oscar Robertson 41 triple doubles this 2016 – 2017 NBA Season, and while the season has not yet over, Westbrook will have his chance of surpassing the Big “O” with few games to go before the regular seasons end. On April 4 (US Time) Westbrook tied Oscar Robertson for the most triple doubles made in a single season in a game against the Milwaukee Bucks, since then Westbrook has missed two opportunities to surpass Oscar Robertson, one against the Memphis Grizzlies where he was only short of 1 rebound and lately to the Phoenix Suns with two assist away of another triple double. With OKC’s 3 more games to play on their schedule before the regular season's end Westbrook will have 3 more opportunities to surpass the Big “O” and holds that impressive record solo in NBA History Books. If Westbrook fulfilled that achievements, perhaps it will also help his chance in his candidacy of winning his very first MVP? Against top contender and former teammates Houston Rockets, James Harden, who also, having a great season. Meanwhile, Kawhi Leonard of San Antonio Spurs and LeBron James of the Cleveland Cavaliers are slowly fading away for that MVP Race? What do you the think of Russell Westbrook triple doubles averages this season and his chances of surpassing Oscar Robertson records that has been for 5 decades and what is the chances of Westbrook of winning this year KIA NBA MVP? Will his triple doubles averages help him win in this year MVP race? No Comment to " Westbrook Eyeing For the Most Triple Doubles Made in a Single NBA Season "